The Silver Cloud tastes like a mocha latte with amaretto syrup. It’s sweet and creamy, with a nice rich taste. This is a great drink for when you actually need something to fill you up a little – that’s where the milk comes in. It’s pretty light on the alcohol, but it’s definitely got a calorie or two. Still, sometimes that’s just what you want. This is really great as a snack substitute for mid-afternoon. Put some ice cubes in a parfait glass. Pour everything but the whipped cream into it and stir. 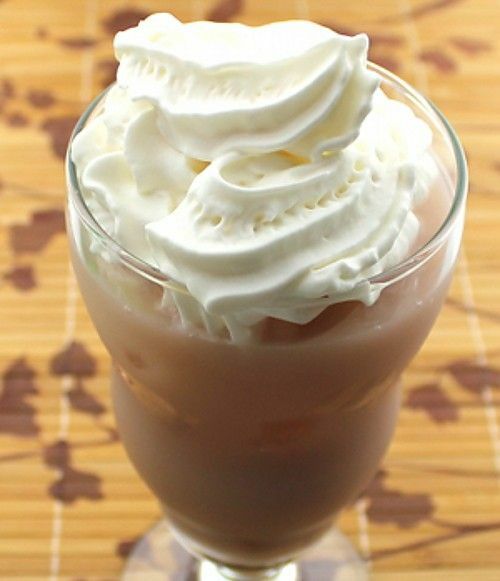 Top with whipped cream.